Wendy’s announced in a press release that their Crave Menu would be introduced to their restaurants. It features the return of their popular cheeseburger the S’Awesome, which previously was out in limited release. Wendy’s stated that the S’Awesome would be a permanent fixture on their menu. Wendy’s Executive Vice President, Kurt Kane, stated that there was a reason the menu is called Made to Crave. It is because the hamburgers were so good that Made to Crave would be part of their everyday menu. The press release described the new burgers and stated prices listed were the recommended selling price and may vary at each restaurant. The cheeseburger was hugely successful when out for a limited time at Wendy’s, so it was brought back permanently. The burger is made from fresh beef, which has never been frozen. It includes three strips of Applewood bacon, pickles, two slices of fresh American cheese, sweet onions, crisp iceberg lettuce, and sweet onions served on a warm bun with a side of and Wendy’s famous S’Awesome™ sauce. The price of the S’Awesome Bacon Cheeseburger is $5.29. Wendy’s has always understood how to make a great tasting barbecue. The Barbecue Cheeseburger finds the balance of heat and sweet, with a touch of smoke. The sandwich features fresh beef, which has never been frozen, three pickles, crispy fried onions and two slices of American cheese. The new Wendy’s cheeseburger is topped with a smokey and sweet Kansas City-style barbeque sauce. The price of the Barbecue Cheeseburger is $4.79. Wendy’s new Crave Menu comes soon after McDonald’s updated their own. In Jan. 2019, McDonald’s introduced their Quarter Pounder, classic Big Mac, and French Fries with bacon. Dave Thomas, Wendy’s founder, opened his first restaurant in Columbus, Ohio on Nov. 15, 1969. Thomas named the restaurant Wendy’s after his daughter. The goal of the restaurant was to provide customers with fast, fresh food served in a family setting. One year later, Thomas opened his second restaurant in Columbus. This restaurant featured the first fast food restaurant drive-through window. Wendy’s fast food restaurant became extremely popular, and by 1976, there were five hundred restaurants opened, including branches in Canada. 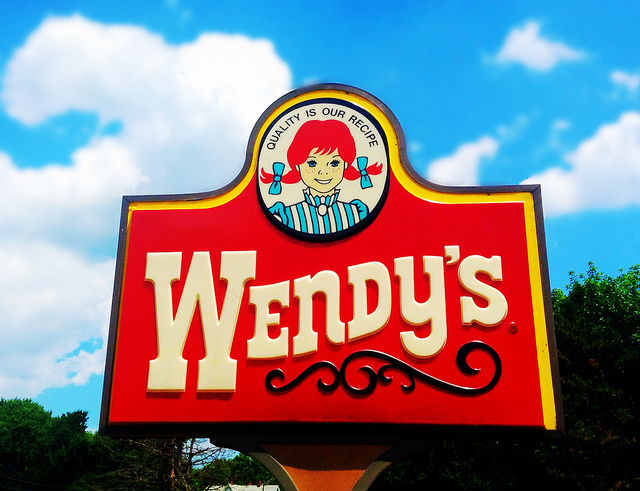 By 1979, Wendy’s opened 1,500 restaurants, including eateries in Mexico. Wendy’s was also the first fast food restaurant to add a salad bar to their menu in 1979. In the 1980s, the company added five hundred restaurants yearly. By 2001, Wendy’s had opened over six thousand restaurants. Wendy’s also expanded its holdings. In 1996, Wendy’s purchased Tim Horton’s Restaurant, and in 2002 bought Baja Fresh Mexican Grill. In 2001, Wendy’s sponsored the Ladies Professional Golf Association tournament. Wendy’s expansion was bolstered by its innovative advertising. In 1984, Wendy’s introduced a legendary campaign, “Where’s the Beef.” The ad featured a manicurist named Clara Peller, and it poked fun of the hamburgers served at other fast food restaurants. The “Where’s the Beef” phrase became a catchphrase during the mid-80s. Dave Thomas also appeared in the majority of commercials from the late ’80s until he died in 2002. One Response to "Wendy’s Introduces Three New Made to Order Cheeseburgers"